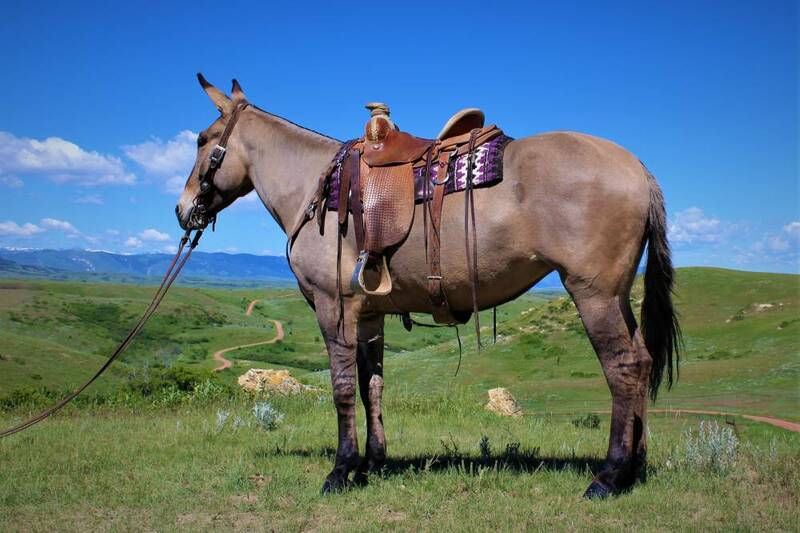 Aspen is a 16 hand tall, 6 year old grulla molly mule. She has been used extensively on the ranch and on a grazing permit in the mountains. 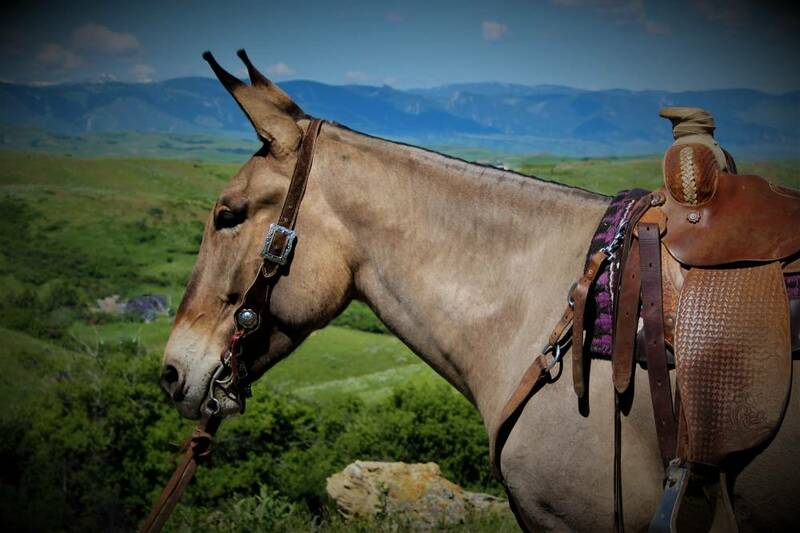 She's had tons of cattle work done on her from roping and doctoring, dragging calves to the fire and working all summer on moving cattle in the Big Horn Mountains. She is very cowy and will pin her ears and watch a cow like a good quarter horse. She has been used in hunting camp elk and deer hunting and has seen the grizzly bears and will go thru any kind of water, bogs, downed timber and over bridges. She has a nice one handed neck rein and feels like she has power steering. This mule enjoys the mountain trails and has the nicest walk I've ever felt. She will trot, lope and walk out on a loose rein. She is truly a cowgirls or cowboys dream mule. She just makes you happy when your riding her. To top it off.. she is absolutely stunning with her tiger stripped legs, nice conformation and size. Aspen is soft in the mouth and responds well to leg cues as well. She will lope circles, sidepass, stop, back up and do turnarounds correctly. She is truly one of a kind.